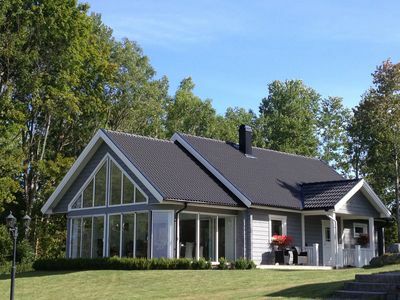 A vacation rental home that sleeps 4 people near Lönneberga, Vimmerby and Hultsfred. 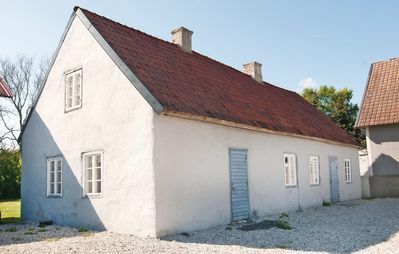 Brunsviks Gård is a forest property that has been handed down from one generation to the next since the 15th century. 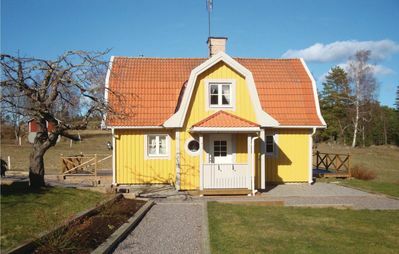 The big yellow old house was built in 1847 and that includes some parts of the apartment being rented out. The rest of the apartment, hallway and the bedroom, were later added around the 1960s. 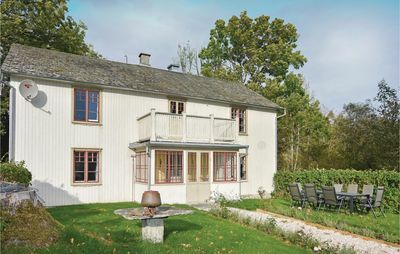 Check our Face book page and IG by looking up @brunsvikapt or Brunsviks Gård Apartment for more photos and updates. 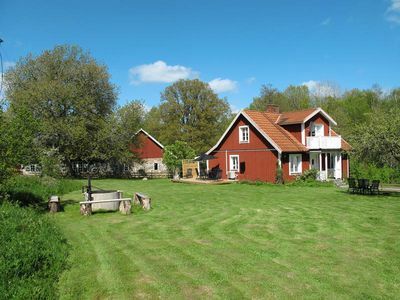 It is a peaceful and quiet neighborhood near the lake with many beautiful summer houses. 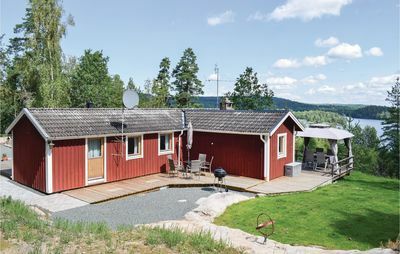 Guests may use the boat with paddles and are included in the rent. Car is highly recommended since it is the only way to get here and around. 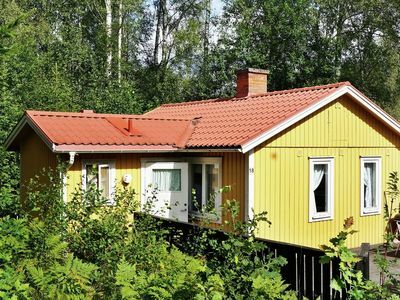 A descent and quaint apartment that is located on the second floor of a big yellow house and has its own entrance. 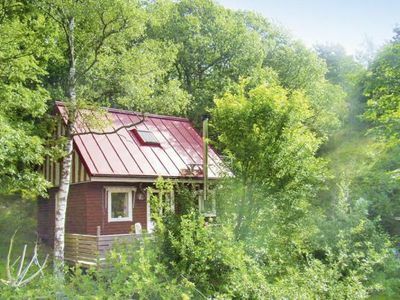 Leading up the stairs, there's the hallway, the bedroom (sleeps 2), dining area, well-equipped kitchen, living room with 2 single sofas (sleeps 2), and bathroom with toilet. There is a safety gate for kids between the hallway and the stairs. Washing machine can be borrowed free of charge. We are your neighbors and live just right next door. We value your privacy and space. We are available whenever you need us. 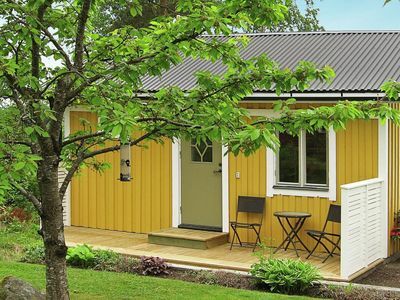 Just knock on our door or message us via the homeaway app if you need anything. Your private space is the whole apartment. 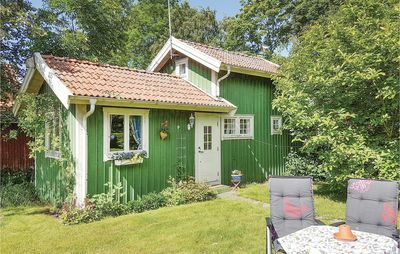 Du har også tilgang til badestedet ved Nerbjärken, som er en minutters tur. This is a shared bathing place. 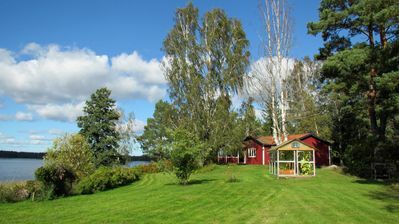 There is a wide parking space, wide garden, free use of a rowing boat, the forest and the lake Nerbjärken. Have a fun or romantic walk around the forest this fall and pick mushrooms. You might spot the ever-elusive deers, hares, squirrels, wild boars, badgers, and even each if you are lucky. 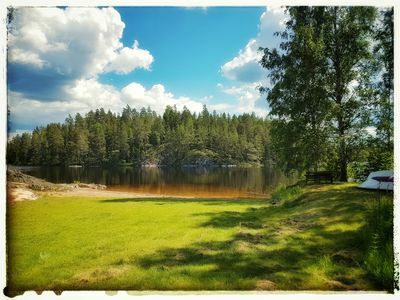 Have a picnic by the lake. 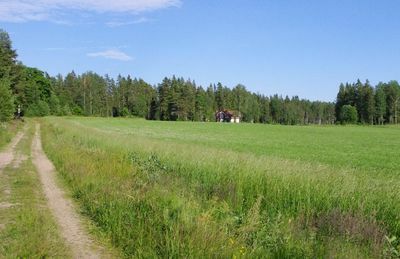 The trail Lönnebergaleden, a 55-kilometer distance between Ostkustleden and Sevedeleden, passes through the property and is very close to the apartment. 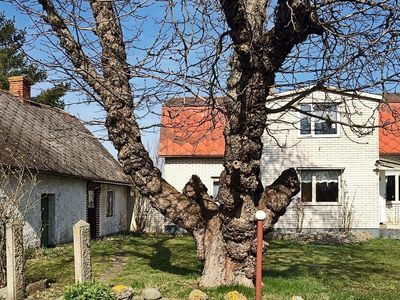 Nearest grocery stores (ICA, Willys, Coop, Net, SystemBolaget), bank (Handelsbanken), restaurants, pizzeria and other shops are in Hultsfred Centrum which is about 10km away by car. Bed linen, hand towels, bath towels can be rented as a package for 100 sec per person per stay and can be paid when guest / s arrive. It is possible to pay in Euros (exact change). 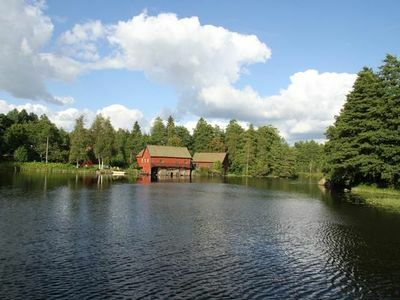 Fishing license for guests in part of Lake Nerbjärken can be purchased on site for 50kr per person for 24 hours. Please bring your own fishing equipment. Fishing area is 57 hectares. 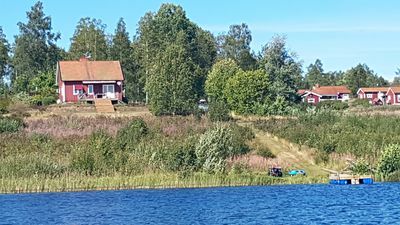 Crayfish fishing in part of Lake Nerbjärken can be purchased from the first week of August. 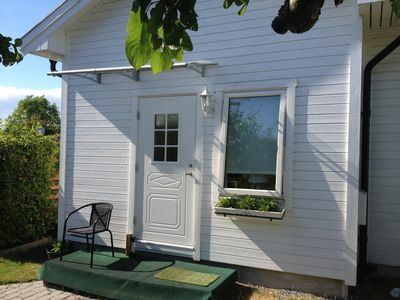 It costs 400kr for one lot (a stretch of around 100 meters) .The cages can be rented for 100kr and the bait can be bought from us for 50kr. Please let us know ahead if crayfish-fishing or fishing is of interest. The guest / s takes care of housekeeping before checkout including taking out trash. The trash bin is located across the road by the parking area. 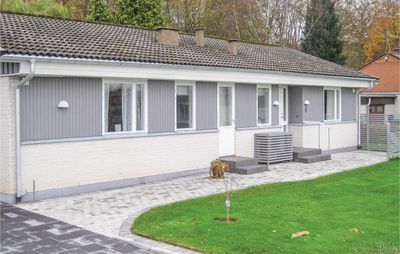 Hvis du ikke har tid til å rengøre, eller hvis du vil at vi skal rengøre, kan det ordnes for et gebyr på 700 sek betalt på stedet. Check-in time is 3 pm onwards. 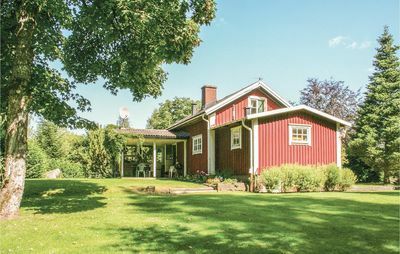 Check our online presence by searching for @brunsvikapt or Brunsvik Farm Apartment for updated photos and videos. 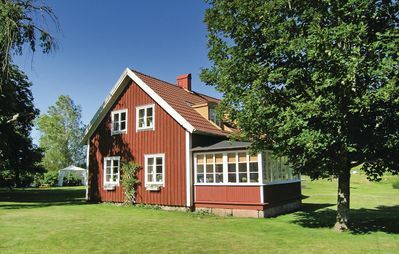 Guest house with views beyond Mellerud golf course near Vänern.